The Hunger Games: Mockingjay – Part 1 was an entertaining movie but there’s no doubt that it largely felt like it was laying the groundwork and building us up for Part 2. Now that film is coming to Blu-ray, so that those who didn’t catch it in cinemas can find out how the struggle between the Districts and the Capitol ends. Panem is now in full-scale Civil War, with Katniss (Jennifer Lawrence) having been enrolled as the Mockingjay, a figurehead that District 13 President Alma Coin (Julianne Moore) wants to use for propaganda purposes. However, all Katniss really wants is to kill President Snow (Donald Sutherland) in the hope it will bring everything to an end. She also becomes increasingly suspicious of Coin, concerned that if she takes control after the Capitol collapses, they could be simply replacing one despot with another. Fed up with being told what to do, Katniss sneaks onto a mission to the Capitol, eventually enlisting the others who’ve been sent – including Gale (Liam Hemsworth), Finnick (Sam Claflin) and Peeta (Josh Hutcherson), who still hasn’t fully fought off the conditioning forced upon him while being held captive by the Capitol – to help her kill Snow. As they enter the Capitol, they find that their path ahead has been turned into the equivalent of a new Hunger Games, and it will take all of their cunning just to survive. While neither of the Mockingjay movies have quite lived up to either the first film or Catching Fire, they’re still incredibly entertaining. As we’ve come to expect, Mockingjay – Part 2 continues to present an increasingly dark and downbeat look at the struggles of society, class and war. It smartly presents a world that is not black and white – the Capitol is definitely evil, but much of what District 13 wants to do seems equally suspect, leaving Katniss with increasingly impossible decisions to make. As you’d expect there are some good action sequences and plenty of tension, but where the movie excels in its quieter moments. In fact, it’s only towards the end that you come to realise quite how subversive the whole thing is. 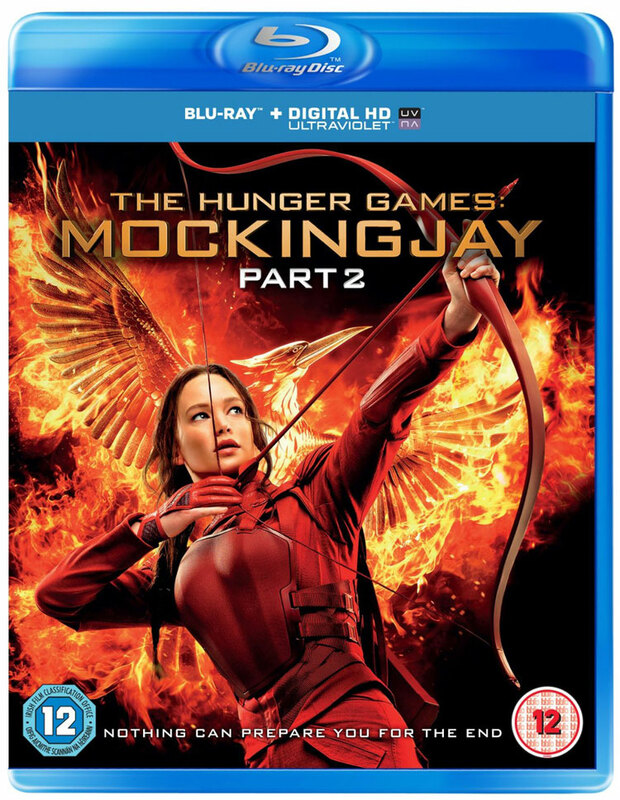 Rather than following the traditional film beats of triumph and hardship as you work towards a clear good-vs.-evil objective, Mockingjay – Part 2 presents a world where doing traditionally heroic things can get you shot in the chest, where major characters can die just because that’s what happens in war (rather than because they were saving orphans from a fire or something like that) and where just because you’re the hero, it doesn’t mean you will be able to complete your mission – or at least not in the way you thought. That really comes to the fore with the conclusion, which completely eschews the traditional epic conclusion and triumphalism, starting with the possibility of the ‘good’ guys doing something unconscionable, then taking us through a series of almost dream-like sequences before ending in the most low-key way possible. I had wondered whether they’d make more changes from the book just to make the ending more traditionally filmic, but instead they’ve taken it the other way. While some may feel its underwhelming as after building up the adrenaline it suddenly takes things in a different and less action-oriented direction in the last 25-minutes, it’s actually exactly what it should be. 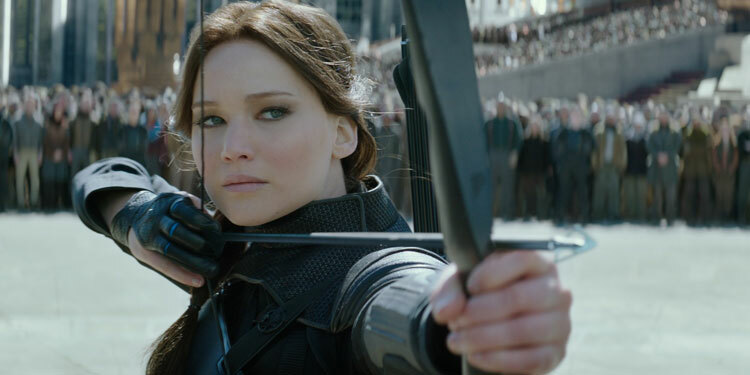 If you think about what Katniss has really been fighting for all along, the incredible simplicity of the last few moments are probably more triumphant than a phantasmagoria of special effects and explosions would have been. The Hunger Games have been a great ride (assuming we don’t end up getting spin-offs), and alongside the likes of Dawn Of The Planet Of The Apes, have helped show that when done right, big, tentpole sci-fi can also provide complex and interesting metaphorical looks at the world and its problems, with all the shades of grey that implies. Overall Verdict: A fitting end to a franchise that from the very start showed itself as being much more than the ‘twilight wannabe’ that many initially wanted to dismiss it a. It has proven itself to be a far smarter and more interesting look at society and war than anyone could have expected. I purchased the collection and although I am enjoying all the features and the deleted scenes for first 3 movies, I am disappointed there were no deleted scenes for the final film and a gag reel is always nice. After I have time to go over the rest of the new features might feel differently but not at this moment.